They say in the film world that you are only as good as your next script, and Hollywood A-list directors tend to know a thing or two about screenwriting. You may be surprised to learn that many of their thoughts and ideas on scripting transcend seamlessly into the world of corporate video production. Seriously, just read the quotes. “To make a great film, you need three things: the script, the script and the script,” said Sir Alfred Hitchcock, an English film director. He was nicknamed the "Master of Suspense" for a reason and knew a little something about screenwriting. This statement holds true for all scripts, whether it be for a Hollywood screenplay or a script for a local law firm video. The script lays the foundation for a good film or video. And, just as a faulty blueprint by an architect can lead to disastrous consequences, a bad video script can have the same effect on your film or video. “Audiences are harder to please if you’re just giving them effects, but they’re easy to please if it’s a good story,” said Steven Spielberg, American filmmaker. Everyone loves a good story, so why should your marketing video be any different from a Hollywood blockbuster (minus the budget)? Visuals are important, but they are not always the most important aspect of a video. It’s the story! And most decent Hollywood stories, in some way or another, identify a problem and present a solution. So, in order to write a great marketing video script, you should identify the problem your customer is experiencing and present a solution for the problem. Avoid making this video about your company – it should be about the customer. What is your product or service going to do for the customer? How will it solve their problem? Use visuals to enhance your video, but start with, and rely on, a good script to get to the heart of the story. When is the Script Ready? “When your story is ready for rewrite, cut it to the bone. Get rid of every ounce of excess fat. This is going to hurt; revising a story down to the bare essentials is always a little like murdering children, but it must be done,” said author Stephen King. I have a production background in long format, documentary style programming. When working on marketing videos, I constantly have to remind myself, “this is not a documentary Liza – keep it short and to the point.” Scripting is what gets me through this. Every. Time. Dermatology Center | Donna Ricciuti Testimonial from InnerAction Media on Vimeo. You need a script in order to deliver a clear and concise message. And, in most cases, content and story trump length, but it is also highly advisable to keep your script to around two minutes or less. On top of delivering a clear message, the script gets everyone involved in the production on the same page (pun intended) and is as important as a guidebook when traveling to a foreign land. Having an official, written reference for your video ensures everyone on the team knows precisely what to do and where the production is headed. “If it sounds like writing, I rewrite it,” said Elmore Leonard, American novelist. Whether your video has voiceover, on-camera interviews or graphics on screen, the wording and phrasing should sound and feel natural to the audience. 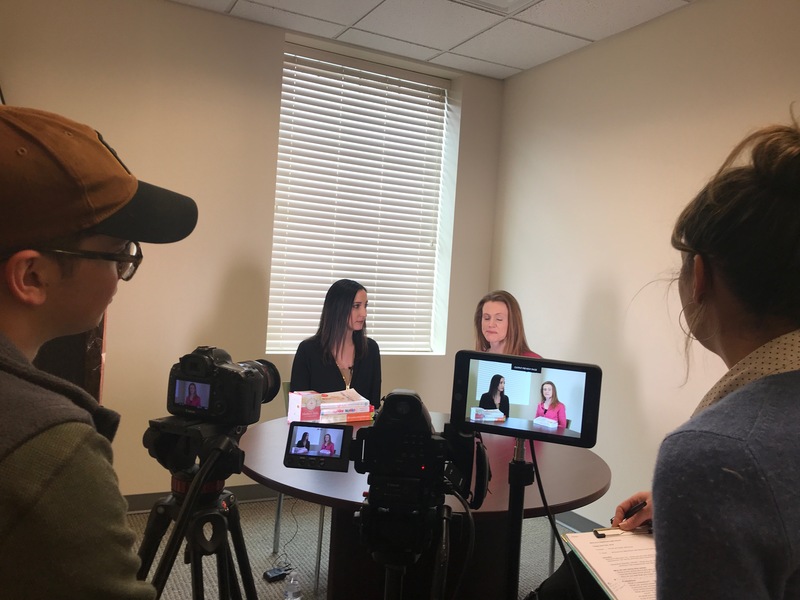 Whenever I write a script for a commercial, an image film or a healthcare recruitment video, I have a script meeting with our InnerAction Media video production team. It is in some sense like a table-read, but I am the only one reading. I walk them through the written script, along with my ideas on the accompanying visuals. Reading the script out loud and to an audience is very beneficial and perhaps even therapeutic (to the awkward 12-year-old with stage fright that lives within me). Ninety-nine percent of the time, I walk away with my own new ideas and a fresh perspective - especially with suggestions from our production team. “Customers don’t generally care about your story; they care about their own. Your customer should be the hero of the story, not your brand. This is the secret every phenomenally successful business understands,” advises Donald Miller, author of Building a Storybrand. Donald Miller is not a Hollywood director, but I like this quote. When writing a script, it should always tell a good story. It should be clear, concise and most importantly, it shouldn’t be about you, and how great your company is – it should make your customer the hero, and your company should be the guide. “It’s possible for me to make a bad movie out of a good script, but I can’t make a good movie from a bad script,” said George Clooney, actor, director, producer and screenwriter. While I think it would be hard for George Clooney to make a bad movie from a good script, I do get his point. It all begins and ends with the script. The visuals may bring it to life, but the heart of the film or video is the story. Like any great Hollywood film, your two-minute marketing video should always leave the audience wanting more.